How to Connect Galaxy S8 with Gear S3 - You can connect your Samsung Gear S3 to Samsung Galaxy S8 / S8 Plus by read this Galaxy S8 Plus Manual webiste. 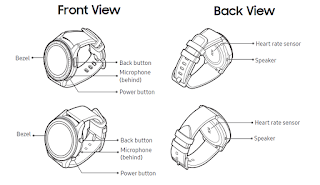 We try guide and help you reading the Samsung Gear S3 Manual and follow the on-screen instructions until finish the setup. Both of Samsung Gear S3 Frontier and Classic series has the aesthetics of a truly premium samsung watch with advanced features built right into the watch design. It's so easy and effortless to use the Gear S3. It's also built for you to go days without needing your phone or to recharge. Specs : Chipset Exynos 7270, Dual 1.0GHz, Memory 768MB + 4GB, OS Tizen Based Wearable OS 2.3.2, LTE with Embedded SIM, support Bluetooth BT4.2, Wi-Fi, Speaker, Water and dust resistant (IP 68). The Samsung Gear S3 make you free from your Galaxy S8 Plus or S8 in the most natural way. Just turn the Gear S3 bezel to respond to calls, to read messages, to go to that app you need. Answer a call, turn up the volume or turn off the alarm. Turn the Frontier bezel to scroll through apps, messages and long text, but Bluetooth S8 and Bluetooth Gear S3 must paired to make calls. The Samsung Gear S3 has a built-in speaker that lets you make or take calls right away on the device. It's truly liberating to have a battery that lasts long enough for you to go on a trip without a charger. The review Gear S3 battery life about 4 days some times in a week. 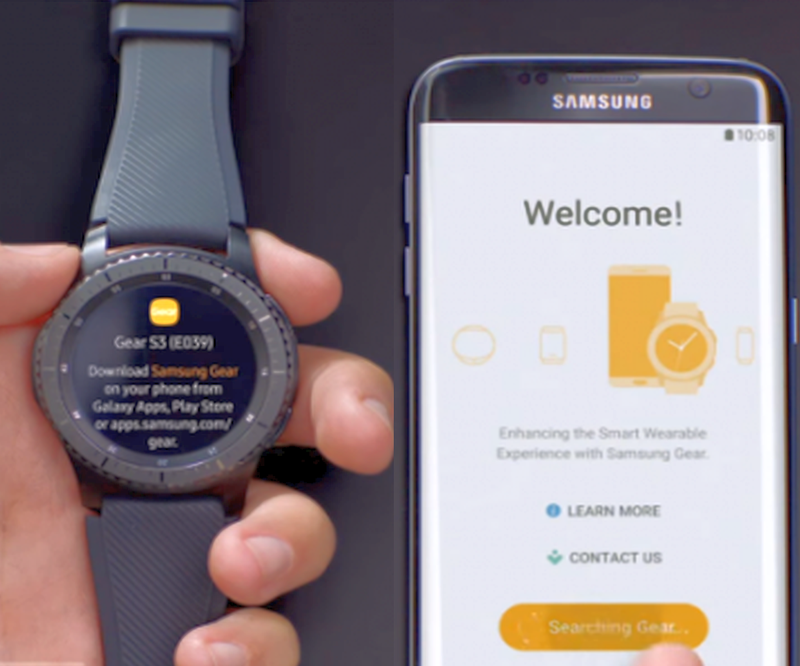 Setting up Samsung Gear S3 is as easy as using it. Open the Samsung Gear app on your Galaxy S8 to pair with Gear S3.And after pairing Gear S3 to Galaxy S8 you're ready to go. The Gear S3 also works with a wide range of smartphones. Compatible with Android 4.4 and higher with over 1.5GB RAM, iOS 9.0 and later, and smartphones iPhone 7, 6,5 and newer the iPhone8. The instructions below explain how to turn your device on or off. 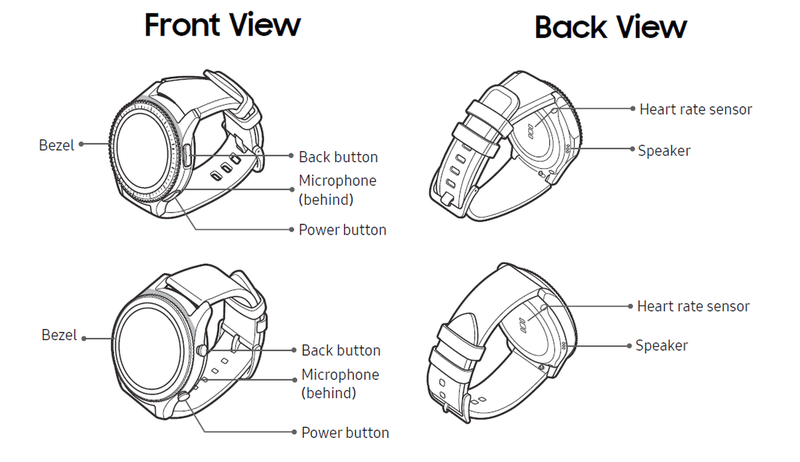 Press and hold the Power button until the Gear S3 turns on. Samsung Galaxy S8 Tutorial Gear S3To connect your Gear S3 to Galaxy S8, install the Samsung Gear app on the smartphone. Download and Install Samsung Gear Manager. Launch Galaxy Apps from your Galaxy S8 to download it. For non‑Samsung devices, download the Samsung Gear app from the Google Play store. Gear S3 compatible with Galaxy S8 and devices using Android 4.4 and later or iOS 9.0 and later, with at least 1.5 GB RAM. Supported devices may vary by carrier and device. Some features may not be available. 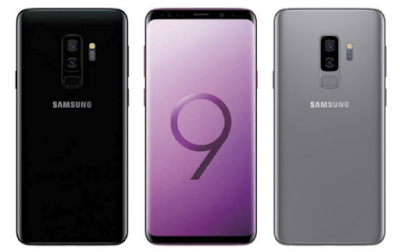 For best results, connect with compatible Samsung Galaxy devices. For a list of compatible smartphones, please visit the official Gear S3 : samsung.com/gearS3. From the Apps screen of the Galaxy S8, tap Samsung Gear. If necessary, update the Samsung Gear app to the latest version. When the Bluetooth pairing request window is displayed, confirm the passkeys displayed on your Gear and smartphone match, and then tap the checkmark. When the devices are connected, a tutorial is displayed on the Gear’s screen. Follow the prompts to learn the Gear S3 basic controls. But, when you connect the Gear to another smartphone, the Gear automatically resets and all data is removed from its memory. Make sure you back up Gear S3 for important data stored on your Gear. From the Apps screen of the smartphone, tap Samsung Gear > Settings tab > About Gear > Back up and restore > Backup data. End the connection between your Gear and Galaxy S8 or other smartphone. You can remotely connect the Gear to your smartphone when a Bluetooth connection is not available. Set the Gear to remotely connect to the Galaxy S8 when a Bluetooth connection between the devices is not available. With this automatic remote connection, you can still receive notifications from your Galaxy S8. This feature is automatically activated when you connect to your smartphone using Bluetooth for the first time. From the Apps screen of the smartphone, tap Samsung Gear > Settings tab. Tap Gear connection > Remote connection. From the Apps screen of the Galaxy S8, tap Samsung Gear. Tap More > Connect new Gear, and then select a new Gear. Samsung Gear app. If a connected wearable device is disconnected, the Samsung Gear app searches for another remembered wearable device and connects to it. From the Apps screen of the smartphone, tap Samsung Gear. Tap More > Auto switch device, and tap On/Off to enable the feature. Tap More > Disconnect. The Gear disconnects from your Galaxy S8+/S8. Tap More > Connect to reconnect the Gear. 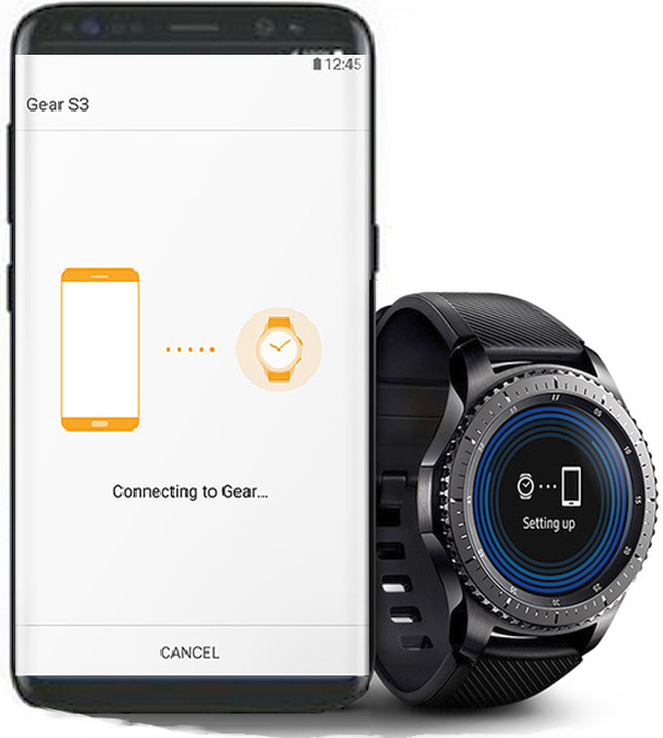 The Gear S3 can connect to another mobile device after performing a Gear S3 light reset to delete data. This option is displayed only if you are already connected to a mobile device. From the Apps screen, rotate the bezel to Settings. Tap Connect to new phone and follow the prompts. Connecting to your phone is the best way to get the most out of your Gear. This option is displayed only if you are in Standalone mode and not connected to a smartphone. Tap Connect to phone and follow the prompts. Press and hold the Power button until the Device options menu is displayed. Tap Power off, and confirm if prompted.